The SALT Pepper Spray Gun was designed to offer the same trusted, non-lethal protection of pepper spray but at 10 times the safe distance. Shaped like a traditional handgun, SALT shoots rounds filled with a powdered pepper spray that create a chemical cloud upon impact, incapacitating anyone in the vicinity. Capacity - Each SALT Magazine carries 7 SALT Pepper Spray Rounds or 7 SALT Practice Rounds. Quick reload - Each SALT Magazine can reload The SALT Pepper Spray Gun in seconds, allowing you to quickly fire up to 21 rounds when you need them most. Trusted Protection - SALT has been proven safe and effective by the U.S. Military and Federal Bureau of Prisons. Range - 150+ feet vs the 6-10 feet of traditional pepper sprays or tasers. Speed - A SALT Pepper Spray Round travels at 320 feet per second, delivering the same kinetic energy as being hit by a 50 mph fastball. Made In America - Every SALT Pepper Spray Gun, Round and accessory is manufactured right here in the Midwest by our manufacturing partner, Tippmann, the number one most trusted name in air powered technology. Shipping - We cannot deliver product to CA, NY or HI at this time. Orders placed with billing addresses within these three states must have alternative shipping address or will need to be canceled by purchaser. 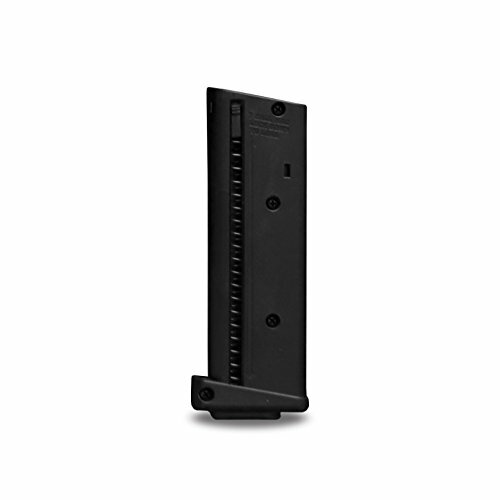 7 round capacity - Each SALT Magazine carries 7 SALT Pepper Spray Rounds or 7 SALT Practice Rounds. Expandable use - The SALT 7-Round Magazine is the exact same magazine that comes standard with each SALT Pepper Spray Gun. Trusted protection - Proven safe and effective by agencies including the U.S. Military, State police and the Federal Bureau of Prisons.